Thanks to everyone at EPS for making me feel at home. This first week has just been the best! It has been great meeting all the students (My goal is to learn names in two weeks, fingers crossed). If you are curious about what we are doing in art, and would like to come visit the art room (even for 5 minutes) please feel free to do so. Also, feel free to contact me at leynadosch@hotmail.com. 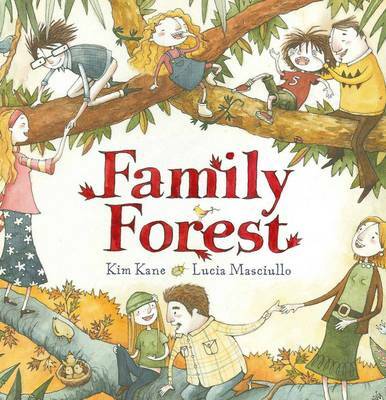 Next week is book week so the Preps have been busy creating art inspired by the book "Family Forest" by Kim Kane. This week we worked with textas and crayons and next week we will be adding water colours. I am blown away by the variety between their art work. Especially when it comes to drawing people and trees. "Some kids have a family tree. We have a family forest"
I love the vines and tree houses. "My family is hanging from the branches"
"I can feel the texture in the trees"
This term year 4 has been planning their sculptures based on Pop, Cubism, Cartoon and Abstract Artists. This week they started making the skeleton for their sculptures. Students used tape, cardboard and paper. Looking good year 4! Year 5 and 6 have been busy working on their folios. Some students finished their art this week and I have convinced them all to display their work in and around the office. I have told the year 5's and 6's that it is their choice if they would like to take a picture of their art and post it online. With permission, I have taken a picture of one piece of year 6 art. Amazing. Equipped with a plasma screen TV, coffee table, and couch. I do not have any year 3 art up yet because I forgot to bring my camera to the college. Next week! Please check back regularly for more posts. Welcome to EPS's art blog.